Eid-Al-Fitr is a celebration of utmost devotion and spirituality. Muslims all over the world observe this festival with great fervour and enthusiasm. Eid-Ul-Fitr, as it is also known, marks the end of the Islamic month of fasting i.e. Ramadan. On this day, Muslims break their month-long Ramadan fast and offer their prayers to Allah to thank him for blessing them with endurance, strength and will to conclude this stringent month-long fast. The celebration of Eid is purely associated with spirituality, devotion and joy. Prophet Muhammad originated the festival of Eid. As per the legend, the first revelation of the Holy Quran was received by Prophet Muhammad during this holy month. This is why this festival is considered as one of the most religious Islamic festivals. It is a day to rejoice in and celebrate the successful conclusion of Ramadan fast. Eid-Ul-Fitr is a festival that brings people together as the celebrations represent togetherness, love and fellowship. It is a festivity to offer special prayers to the Almighty and to propagate generosity and forgiveness. Zakat-Al-Fitr is a highly significant aspect of Eid-Ul-Fitr; it is the charitable contributions that the devotees make for the needy and the poor. It is important on this day to help the needy even before one offers their special Eid prayers. 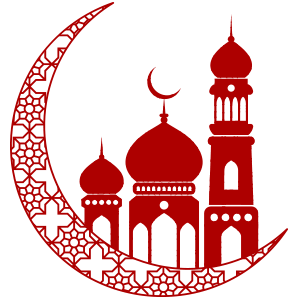 The festivities of Eid-Al-Fitr commence on the sighting of the moon, or the crescent moon, to be precise. The celebrations begin in the evening as soon as the moon is visible in the sky which continues till the next day. Eid celebrations usually continue till three days and is an official holiday in countries where major population is Muslims. As per Sunnah i.e. the record of Prophet Muhammad’s teachings, the devotees should wake up during early morning hours, offer their daily prayers, i.e. Salat-Ul-Fajr, take a bath, wear new clothes as well as ittar, i.e,. perfume before going for Salat-al-Eid (special prayers offered on the day of Eid) in the Mosque. The devotees eat a breakfast comprising majorly of date fruits before heading out for the prayers. These special congregations are preceded by the recital of Takbir i.e. Allah-U-Akbar which is done individually by every devotee. It is important for every person going for the special prayers to perform Zakat-Al-Fitr, i.e. charity and donations. These charitable contributions are made before the congregation prayers. People are required to donate food and clothes to the poor and the underprivileged. Post the prayers, people exchange greetings, wishing each other ‘Blessed Eid’ or Eid Mubarak. It is the day when families, friends, relatives come together to exchange Eid greetings and enjoy the special feasts and desserts. Eid celebrates love, peace, joy and happiness in their full form. Kids wait eagerly for this day as they are given Eidi, a present given by elders usually in the form of cash. Ziyarat-Al-Qubur is another significant ritual that is observed by many on this day. Muslims pay their respects to the departed souls by visiting the burial ground and offering their prayers. All in all, Eid-Ul-Fitr is a festivity of prayers, family get-togethers, feasts and sharing the joy and happiness with one and all. mPanchang wishes you all Eid Mubarak!